Review all options: Consider other destinations before committing. Those looking to go on a cycling holiday will often have a destination in mind. This is great. Having a clear idea of what you want to get out of your holiday is perfect and helps us to tailor your experience. However, make sure you have considered all your options before committing to a destination. If you had Mallorca in mind for the climbs, why not consider Girona, the popular training ground for professional riders? Alternatively, if you were looking for flat riding in Holland, how about the stunning Loire Valley? Andorra. A hidden cycling gem and a great option for those seeking challenging climbs. Chat with our experts: Our team can talk for days about cycling. Seriously. Once you have an idea where you’d like to go, give our cycling experience team a call and have a chat about your plans. But be prepared, they could talk for hours about cycling in Europe if you don’t stop them! Between us, the Love Velo team have ridden all over the world and can offer you the best advice. Don’t be afraid to ask lots of questions and put them under pressure, they love it! This is Luke, one of our cycling experience team. He recently rode in the Sierra Nevada mountains in Spain. Ask him about this destination and he’ll happily talk to you for hours! Hire bikes: It saves a lot of hassle. We always suggest that travellers hire bikes at their chosen destination. Besides the obvious benefits of not having to carry a bike box too and from the airport, you will find hiring bikes is a stress-free and simple process. They will be delivered to your hotel and set up to fit your height and pedal requirements before you arrive. The airport experience can be hectic enough without carrying around a bike box. Leave it at home and save the hassle. Review your routes: There’s no harm in planning your rides early. We have been lucky enough to cycle all over Europe and, as a result, have a collection of the best routes in every country; whether this is a ride to the Masca Ridge in Tenerife or through the Serra de Monchique mountains in Portugal. These will be sent over to you 3 weeks prior to your travel date (in a GPX format) so take the time to review your options and get back to us with any questions. The team are constantly reviewing our destinations and routes to ensure you get the best holiday experience possible. 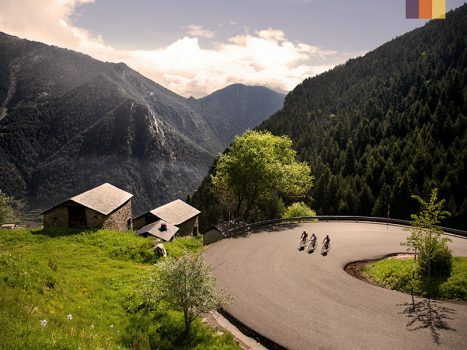 Relax: Trust that we’ll deliver the ultimate cycling holiday. Now you can take it easy and start counting down the days to your holiday. We’ll handle the transfers, accommodation, meals, bike hire and everything in between so all you have to do is relax and enjoy the ride, literally. We can’t wait to help plan your next cycling holiday so get in touch with us today and see where the bike can take you! Enjoy the down-time part of your holiday. We always set you up in the best hotels.